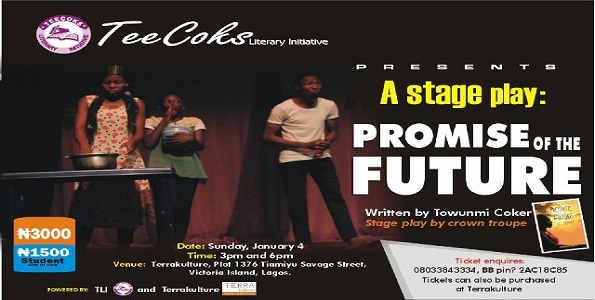 TLI's "Promise Of The Future" Stage Play + FREE Tickets! You definitely do not want to miss this play! Venue: TERRAKULTURE – Plot 1376 Tiamiyu Savage Street, Victoria Island, Lagos. Nigeria. Date: Sunday, January 4th 2015. Lol. been waiting to be the 6th person to comment.